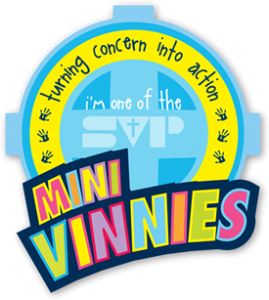 ‘Mini Vinnies’ is a St Vincent de Paul Group in a Primary School. It is a group of young people in a Primary School who get together, organise and talk about helping others in need within their school community and beyond. What makes Mini Vinnies such a valuable experience for the children who are part of it, is the change it makes in school communities. 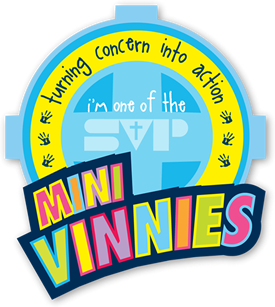 Mini Vinnies’ groups usually meet once a week or fortnight during lunchtime and are run by members of staff. Lord, Let us share our time, gifts and talents with those in need. Lord , Help us to care for the sick.